Are you a personal trainer looking to work at a gym or local fitness club? Perhaps you’re still considering a fitness career and are wondering if working at your local gym is the place to start. Either way, we have some helpful information for you. 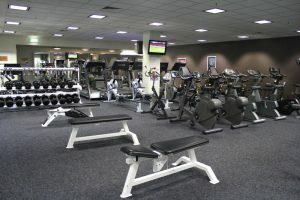 A local gym or health club can be a great place to work. The following questions were asked by inquiring individuals looking for insight on working at a gym. Review the questions and answers below to find helpful advice in determining if working at a gym is the right decision for you. Do personal trainers at gyms receive any compensation from the gym or do they only earn a percentage of what clients sign up for? Gym owners usually set the terms. If you are bringing in clientele to be working out at their facility then you may have some bargaining power to share your trade with their site. It does vary as other more larger gym chains expect you to work for them. At that point they will pay you a minimum wage and or an additional compensation commission based on set terms of a set training fee. Other sites even give you a percentage of that same client renewing their workout contract after their 10 sessions or so. Bottom line is there are lots of varying systems based on being an independent contractor to an employee. Some fitness centers offer health insurance and 401Ks. Lastly, take the time to check out the best option for you and your situation as a new trainer vs. a veteran trainer. How much do personal trainers working at a gym charge? Pricing for a CPT or Certified Personal Trainer have a wide range from $25 to $100. That range can depend on multiple factors like experience, type of certification and or degrees. 50% of the trainers have the goods of that combination and can be effective motivational leaders in guiding a client’s lifestyle changes. Potential clients may ask for references and call or request to meet with you to peel the layers of what you have done for your other clients. Additionally, many of the fees are based on the region of the country that you reside too. How can I become a personal trainer in a gym with no experience? There are some ways to get experience. Finding a solid mentor at a facility and hopefully getting the needed insights is one such way. Your best trainers are not necessarily the best teachers though. I would suggest going the formal route and taking a W.I.T.S. Certified Personal Trainer collegiate course. This will get you the essential core knowledge and the hands on practical labs to master the skills and experience for the “right” way to lead clients in their very personal lifestyle changes. W.I.T.S. is the only certification that is NCCA Accredited for the written and practical exams in the fitness industry. W.I.T.S. also has a Level 2 certification that includes an internship in a health club with a pre-approved senior trainer. Are fitness instructors working at gyms freelancers? There are a lot of trainers that work as “freelancers” in many gyms and fitness centers. The business arrangement is that they have their own insurance and rates and establish a split of the fees for whomever they bring into that facility. Additionally, they may work with the current club clientele if that service is not offered actively with the gym’s own support staff. Therefore, make sure you have a solid business plan and do your homework to run this set up as a true business. Education to setting this up and selling yourself to owners of gyms and clients is key.